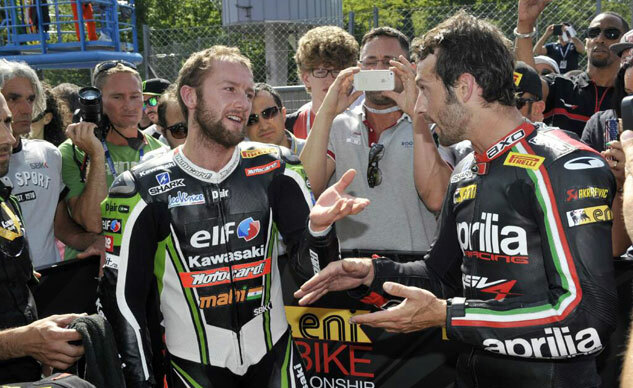 International Motorcycling Federation officials have rejected an appeal from Aprilia and rider Sylvain Guintoli over the controversial finish to the second race of the Monza round of the 2013 World Superbike Championship. The official race finish for Race 2 at Monza stands, with Kawasaki‘s Tom Sykes in third place and Guintoli fourth. More importantly, Sykes hangs on to the 16 championship points he was awarded for the finish while Guintoli receives 13 for finishing fourth. That three-point difference is of vital importance as Sykes now leads the Championship with 287 points, just a single point ahead of Guiontoli. The FIM’s International Disciplinary Court, which holds the final say on this decision, ruled Sykes legally returned to the track after running off Monza’s “La Roggia” chicane on the final lap, using the proper indicated route and returned to the prescribed spot before resuming racing. Sykes would continue to finish third in the race, 0.894 seconds ahead of Guintoli. Aprilia filed an initial appeal immediately after the finish arguing Sykes should have ceded position, and convinced race stewards reversed the order, thus giving Guintoli third place and the valuable three championship points difference between third and fourth. Kawasaki then filed its own appeal submitting race footage and sector times demonstrating the lead Sykes held over Guintoli. 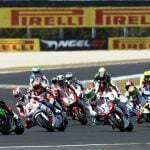 The FIM’s Stewards’ Panel agreed with Kawasaki and reverted the finish order and awarded third place to Sykes. 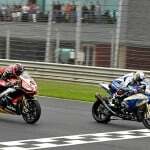 There are still four rounds remaining in the 2013 WSBK Championship starting with this weekend’s event at Istanbul Park in Turkey. A lot can happen over these last four rounds but the International Disciplinary Court’s decision may prove vital to deciding who wins the championship.